The latest EPOS data from the BHETA GfK is the final quarterly installment from 2018 and the headline is value growth across all the topline categories (Housewares, Small electrical & air treatment, DIY and Garden) when comparing the 12 months ending in December 2018 to that of the same period of 2017, the base index. The total index has increased by £350M (2.2%) when comparing the period ending December ’18 to that of the initial index months. In small electricals hot beverage makers (up 5.6%) and deep fryers (up 3%) lead the way, while in housewares generally, the big performers are from Cookware & Bakeware: Pots (up 5.6%), Pans (up 4.0%); from Storage: Food/Kitchen plastic storage (up 5.8%) and from Tabletop: Crockery/China (up 3%). BHETA said: "This is great news and many retailers are already taking advantage of these sectors, but an even more successful one that might not yet be so much on the buying radar is barware, which is enjoying immense popularity with consumers." Sales really got going in the hot summer, boosted by the World Cup and the Royal Wedding, but IT then continued right through into the festive period and show no sign of stopping - Barware overall is up 8%. g (up 4.8%) and Radiators (up 2.1%). 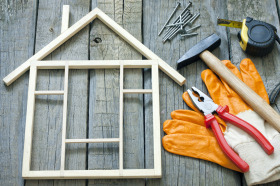 The overall total DIY sector has managed to achieve a 2% uplift versus the original index months. In contrast Safety & Security is still struggling, down 3.6%, along with Wall & Floor covering (down 3.1%). On the positive side, even though these are in negative territory they have not slipped further behind the previous quarter update and Safety & Security has halved its previous decline.